Video Gaming a Recipe for Road Rage? Study suggests gamers more likely to have problems behind the wheel. When it comes to video games, it’s a case of good news/bad news, at least when gamers put down the joystick and grab the steering wheel. On the positive side, cognitive researchers at the University of Rochester have found that playing video games can train you to make the right decisions, and quickly. But other studies suggest that gamers may also be less tolerant of the decisions others make – at least on the highway, where those who spend a lot of time blasting aliens and battling in dungeons are twice as likely to experience road rage. Apparently, finds the Rochester study, the faster the games you play the quicker you are at responding to real world situations. Those who battled it out in Call of Duty 2 were 25% quicker to respond to a situation than those who stuck to simulation games, like the Sims 2. Great For Your Bottom Line: Subscribe for Free! On the positive side, that meant the average gamer was able to pass their state driving test in just two tries compared with three for non-gamers, according to a study by Continental Tires. The rubber maker polled 2,000 motorists between the ages of 17 and 39, half of them gamers, half non-gamers. 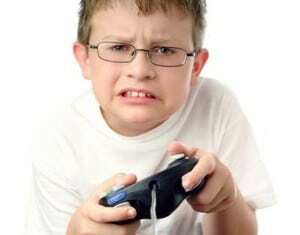 Unfortunately, while they may gain some useful skills, according to the study, those gamers also seem to develop some decidedly bad habits, as well. A full 45% of them admit to experiencing road rage, more than double the 22% of non-gamers who get worked up while behind the wheel. Meanwhile, 22% of gamers have been stopped by the police, compared with just 13% of non-gamers. In fact, they’re lucky, because 31% say they’ve run a red light in the last 12 months, more than double the number of non-gamers admitting to the same infraction. Gamers are notably more likely to speed, to drive the wrong way down a one-way street and, by a more than two-to-one margin, admit they scare others while driving. On the positive side, gamers were half as likely to get their vehicles dented up in the prior 12 months, according to the Continental survey. Unfortunately, they were nearly twice as likely to drive away after clipping another car without reporting the accident. But they were also twice as likely, at 30% versus 15%, to file a claim with their insurance company. “It seems that while gamers develop useful skills and are more confident, they need to apply some balance with a sensible assessment of risk,” said Continental’s Tim Bailey. This entry was posted on Friday, February 4th, 2011 at and is filed under Automobiles. You can follow any responses to this entry through the RSS 2.0 feed. Both comments and pings are currently closed.